Every guitarist knows it’s tough to play when you’re not warmed up. You pick up the guitar, start plucking away, but your hands are stiff, your timing is off, and you feel like things just don’t want to move. So, in this lesson I give you 4 chromatic exercises to get your fingers warmed-up and ready to play. In case you’ve never heard the term chromatic as it applies to music, it means notes that are a semitone (1/2 step) away from each other. On the guitar this translates to notes that are one fret apart. You can learn more about semitones and the chromatic scale in the Intervals on Guitar lesson. 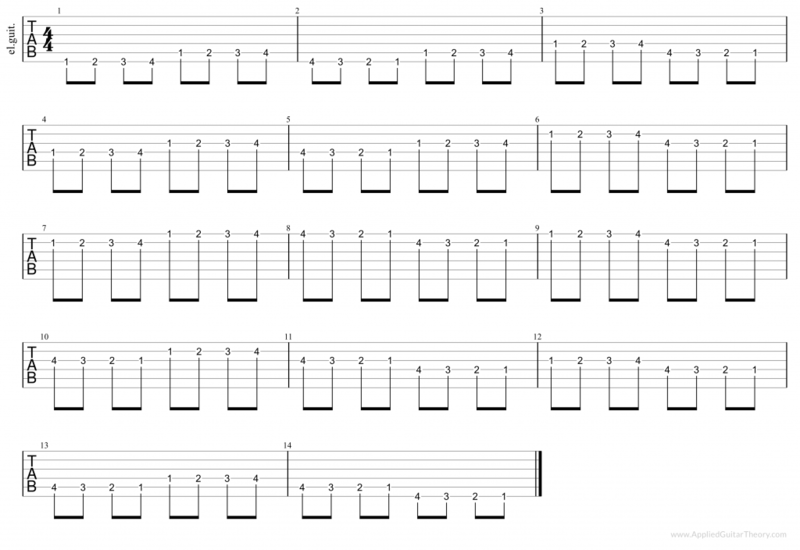 For each of the exercises you’ll want to use an alternating picking pattern (down up down up). The first exercise is a simple ascending run up the neck and back. 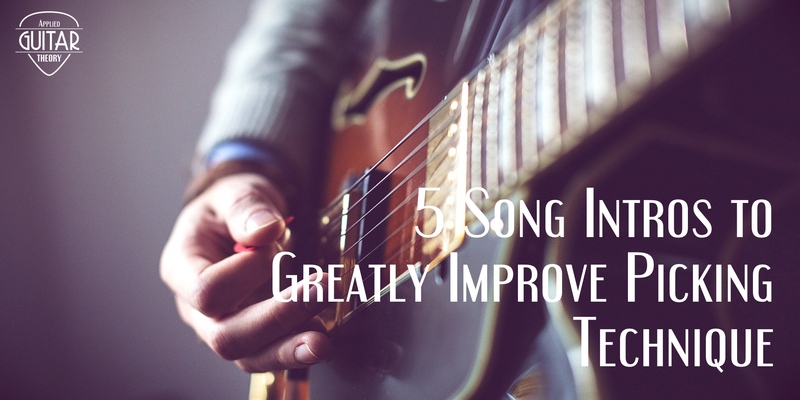 You perform this exercise one string at a time starting on the 6th, move across to the 1st, and back to the 6th. This second exercise is an ascending pattern across the neck and a descending pattern back. 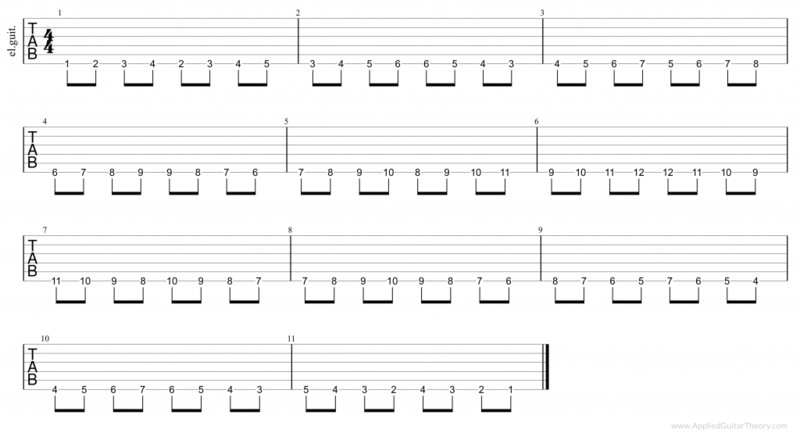 Once you return to the starting position, move up to the 2nd fret and repeat. 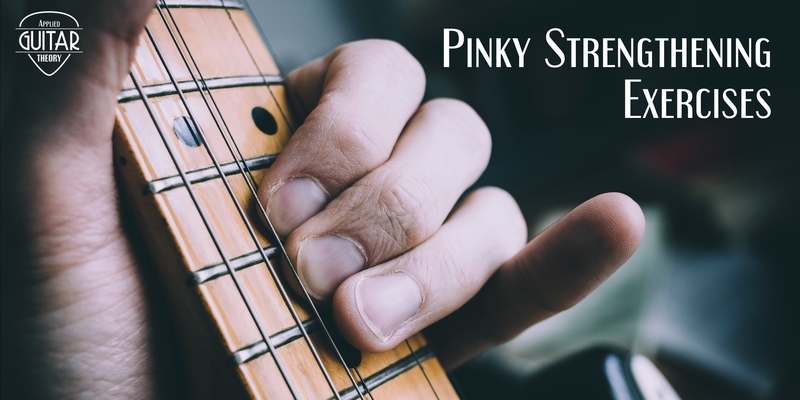 Continue all the way up the fretboard until your pinky finger lands on the 12th fret. You can extend the exercise further by descending back down the fretboard in the same manner until you return to the 1st fret. This exercise is similar to the first with the only difference being descending chromatic licks thrown in during the run up the neck and ascending licks thrown in during the descending run. 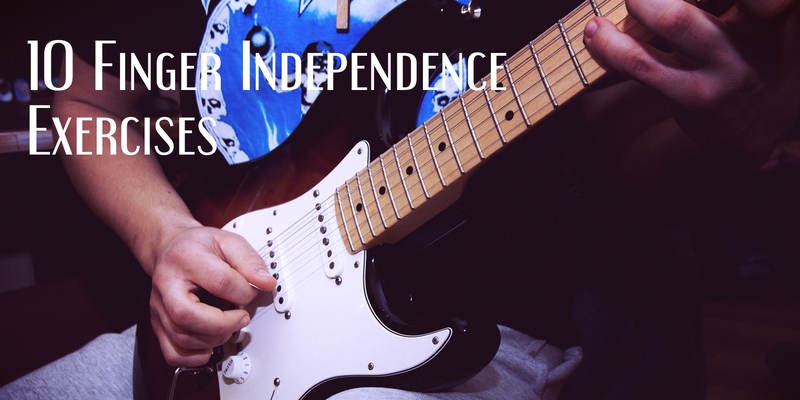 The fourth exercise is similar to the second, but for every two steps across the fretboard you take a step back to the previous string to play the opposite ascending/descending lick. While these types of exercises offer little in terms of musicality, they can be useful when used as warm-up exercises. They quickly get the muscles in your hands/forearms warm and loose and can help with syncing right/left hand movements.